To think of magic in beauty, grandeur and precision is to think of SORCAR, for Sorcar and magic are inalienable. Sorcar's fantastic achievement is now a story and a history as well, a true legend. "How can India, the land so deeply ingrained in the ways of the old, produce such a modern giant?" exclaimed the rich Western nations. This website is an assay to an answer to show what a grand luminary Sorcar was in the firmament of magic amidst the galaxy of shining stars. 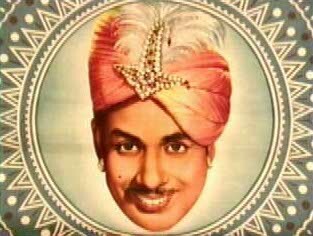 Sorcar's greatness beyond compare has been accepted by the world in declaring him as TW's GM (The World's Greatest Magician) and the Maharaja of magic. Sorcar performed his magic show (Ind-dra-jal) all over the world, repeatedly, in almost every major city of large and small countries and interacted with millions - starting from laymen to Hollywood film stars and great scientists to world leaders. Wherever he went, he enjoyed a thumping success and was lauded with awards and honors. He picked up the abused and long-neglected art of Indian magic from the hands of street magicians and foreign looters, brought her up with tender love and care and gave her a dignified international standard which earned him to be respected as "The Father of Indian Magic". Sorcar dreamed and believed in the art of magic similar to that of classical music or Shakespearean plays - something that should be taught at schools and universities with disciplined courses. He was the founder of All India Magic Circle where thousands of members from around the world learned magic under his guidance. Our mission is to make this website the most complete source of information about him, his life, his beliefs, and his magic shows that kept the world spell-bound for over three decades, and made him a legend forever.